Forest Print Services is the best printing company in Belrose that specialises in high-quality printing services such as business stationery printing, plans & posters, banners and much more. 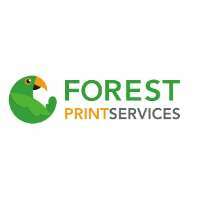 Forest Print Services is a profesional printing company in Belrose, Sydney and was founded in 1970 as a family business to serve the local community's printing needs. Since then the business has grown and gone from strength to strength, built on the winning formula of personal friendly service and expertise. Forest Print Services has a wide and exciting range of products which can be adapted to all industries and organisations, large and small. Our friendly, detail oriented and experienced staff will work with you to ensure that great results are achieved every time. Because we only use cutting-edge print technology, you will consistently receive the highest quality printing products. If you are looking for high-quality printing services in Belrose, Sydney, don't hesitate to contact or visit Forest Print Services today! We have a wide and exciting range of products which can be adapted to all industries and organisations, large and small. Our friendly, detail oriented and experienced staff will work with you to ensure that great results are achieved every time.